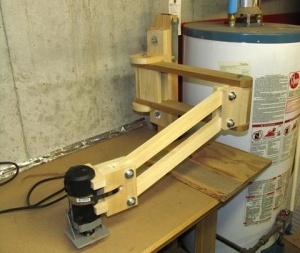 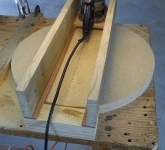 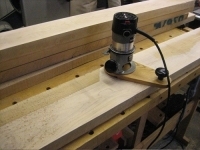 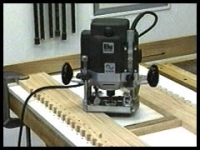 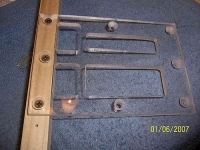 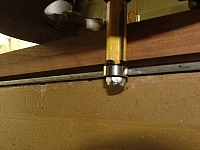 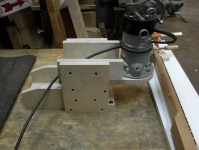 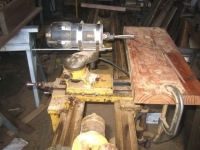 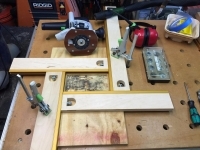 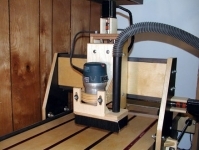 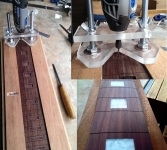 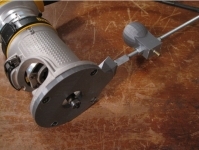 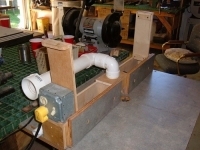 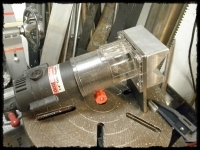 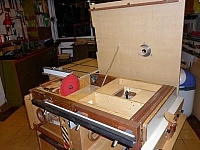 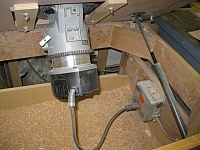 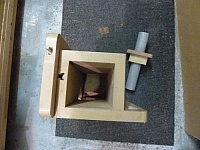 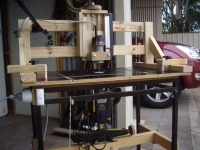 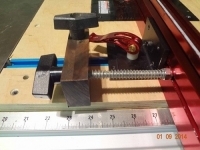 Homemade vertical axis router jig designed to enable freedom of movement in three dimensions, while maintaining the router's axis in the vertical. 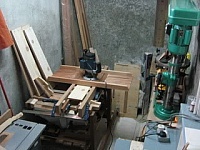 This one's really got me thinking...hmmmmmm.... One thing I never imagined were the articulating arms out of wood. 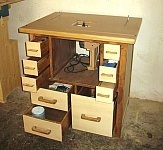 Gives me lot's of ideas.